On Wednesday, Sen. Maggie Hassan (D-NH) repeatedly tweeted out her pledge to support Democratic efforts to overrule the Federal Communications Commission and bring back the so-called “Net Neutrality” government mandate. And if you did see Sen. Hassan’s tweets, there’s a 99.8 percent chance you saw it on your mobile broadband connection. That’s the percentage of Granite Staters who have access to mobile broadband. And not only that, 96 percent of New Hampshirites have access to wired broadband with a speed of 25mbps or faster. On top of that, 84 percent have access to broadband 100mbps or faster. Those numbers are up from the low-70-percent levels as recently as 2011. 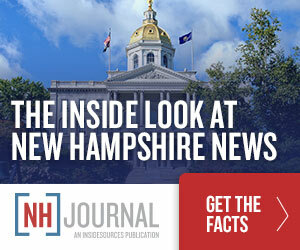 All these are reasons why New Hampshire was just named the 13th most connected state. Not bad for a small, rural state without a Silicon-Valley-style tech sector. And next door, where Sen. Ed Markey (D-MA) is leading the net neutrality push, Massachusetts is ranked 5th. Some critics complain that the cost of internet access is rising, and they’re right (sort of). Internet service providers are raising the price of internet because so many customers are “cutting the cord” of cable TV. So it’s a cost shift, not an increase. Better service, reaching more people, and moderate prices. All of which raises the question: What is Sen. Hassan complaining about? Net neutrality is a battle between two large, wealthy sectors of corporate America. On one side are the ISP’s or “Internet Service Providers”—often called the “pipes”—companies like Verizon and AT&T. They want the right to make more money by charging big content-making companies like Google, Amazon, etc. for premium service. If too many customers log on at the same time and traffic is going to slow down, the ISP’s have the right to raise prices on big businesses that create lots of content—like Netflix and YouTube—and need the top-speed access 24/7. Google and the gang, all rich players in their own right, don’t want to pay a premium. And thus is born the “net neutrality” battle. In theory, the decision by Trump’s FCC to end net neutrality could raise your cellphone or cable bill. But there hasn’t been a surge in price–just in content. There were a record 487 scripted TV shows produced in the US last year. The number on streaming channels like Netflix and Hulu jumped 30 percent. The Senate is going to have a vote to start the process of forcing the FCC back into the “regulate the internet” business, and it’s a very close vote. However, it has to get through the House and past a likely Trump veto. So the good news is that Sen. Hassan’s desperation to declare the government in charge of the internet is likely to die on Twitter.